Sailing Dory is a traditional daysailer with camp cruising capabilities. She has ample sail area and will be a lively sailor in light and moderate wind. Reef her in a breeze and she will be a seaworthy boat in able hands. Construction is glue lap plywood. Estimated cost for quality construction materials (not including sails) is $9000. This cost includes a high level of outfit and finish you can be proud of after putting the effort into building this fine boat. 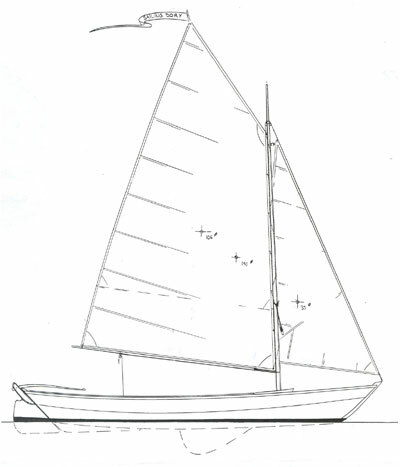 Purchase and Download Study Plans for the SAILING DORY 18 for $5.00 in PDF format (zipped file). 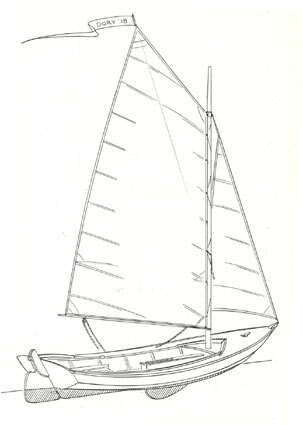 Purchase Construction Plans for the SAILING DORY 18 for $105.00 for delivery by US Postal Service. Purchase Full Size Frame Lofting for the SAILING DORY 18 for $105.00 for delivery by US Postal Service.